Of course I’ve seen the video, it’s one of my favorite ones. 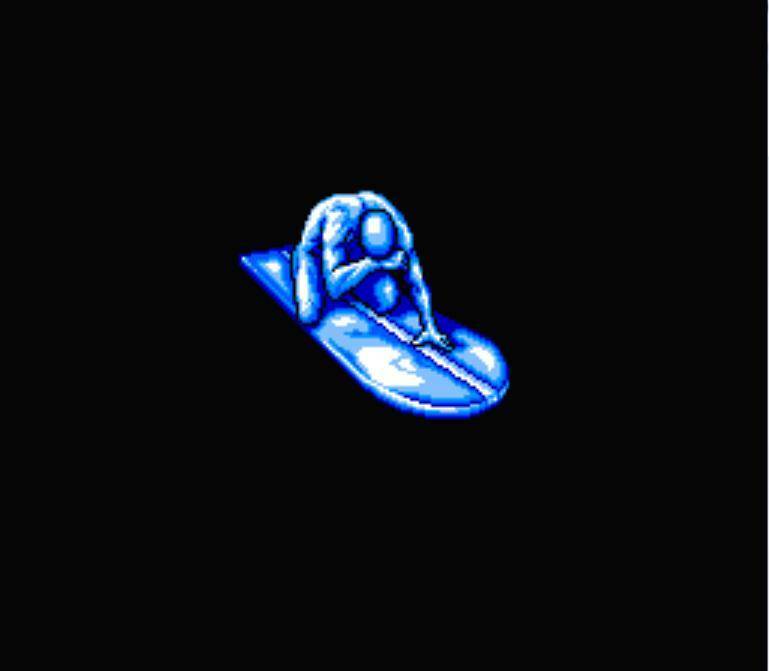 So why then did I subject myself to the maddeningly difficult Silver Surfer? Well the reason is two-fold. Firstly, I’ve gotten a lot of enjoyment challenging myself with the games I’ve been playing for this site; I saw the end of Superman 64, I completed Batman on NES, and after weeks of practice and study, beat Spider-Man and the X-Men, a feat I once though impossible. I really wanted to see if this legendary game was as brutal as the internet had led me to believe. 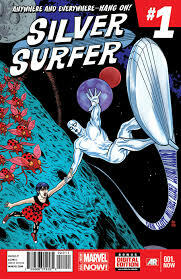 Secondly, I’ve traditionally never been a fan of the Silver Surfer as a character, but that changed this year when Marvel launched a new Silver Surfer on-going comic from writer Dan Slott, who you know is my favorite comic writer, and artist Mike Allred (Madman, FF.) What the creative team done is turned the cosmic surfer into an almost Doctor Who like adventure where the once solo herald is joined by an earth companion. The title is only four issues in and it’s one of the books that I really look forward to seeing a new chapter come out each month in, I recommended you jump in if you can find the back issues at your local comic shop. 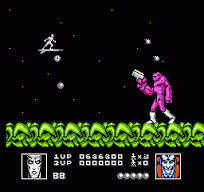 So, back to the game, is Silver Surfer on the NES really that bad? Yes, it is. 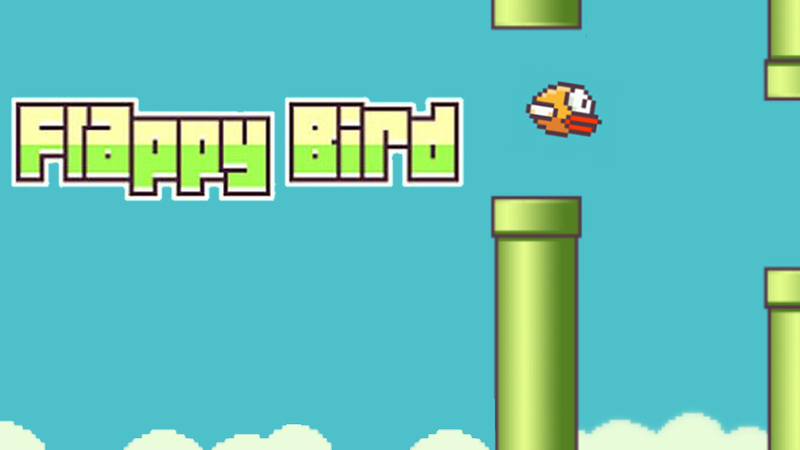 It’s the type of game you play when there’s no one at home (like I did) so they don’t hear you scream. But in playing it, I actually did see a glimmer of a somewhat good game buried under all the cheap and questionable deaths. You’ve heard the complaints and they ring true, so let’s get them out-of-the-way: Your character is far too big to manouver around obstacles, especially in the overhead stages where you don’t know what’s an obstacle and what you can fly over. 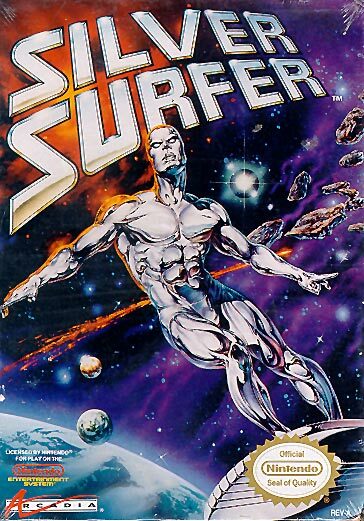 The Surfer’s basic shot is also far too weak for taking out even the simplest of enemies. When you do manage to power up your shot up and obtain the under-the-board add-on option, you do for a brief time feel as powerful as you should when controlling a character like the Silver Surfer. When you get hit, and you will, and lose those power-ups, let’s just say I think I’ve had girl trouble that was less heart breaking. What’s funny though, as loathed as this game is for dying immediately after gently grazing a well and falling off your board to a cheap death, is that the same concept is one of 2014’s break out mobile game sensations. 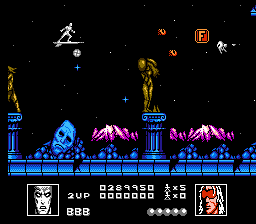 That’s right, Silver Surfer on the NES was the 1990’s equivalent of Flappy Bird! Rather progressive when you look at it in just the right way. I think what makes Silver Surfer even more aggrevating is that there are parts that aren’t really that bad. The three levels in the Possessor section offer a fair challenge, same thing with the Reptyl levels, those both can be overcome with enough patience. The other three however are an exercise in pure frustration, and it makes you wonder if the two levels that actually work as a 2-D space shooter were tested properly while the others couldn’t be due to some deadline that either the publisher or developer had to meet. Another issue I have is that the developer hid things that would’ve made the game at least doable behind a hidden cheat code menu. When you lose all your lives you can continue but it doesn’t countdown from a number so you safely assume you have unlimited continues…that is until you lose all your lives at one point and are met with the title screen. I don’t know what developers had against offering continues in games. 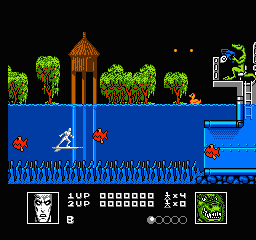 Castlevania, MegaMan, two of my favorite NES series of games and both gave you the chance to continue as much as you wanted until you couldn’t take anymore, heck, even Ghouls ‘n Ghosts had unlimited continues! MegaMan had passwords, so did Castlevania later on, that let you pick up your progress at a later time. Silver Surfer? Again, only with a cheat code. The thing is, you can actually finish Silver Surfer with the help of unlimited continues, I did it this afternoon. I’m sure you can do it without the help of a code, but you would have to hate yourself an awful lot to put yourself through that. 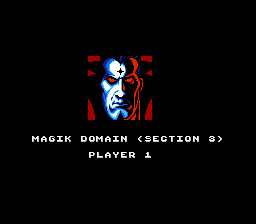 As an aside, I found it really odd that the last level of the game is the “Magik Domain,” but the corner boss image is clearly the X-Men villain Mr. Sinister, a character who wouldn’t exist in a “Magik” world, nor normally tussle with the likes of the Silver Surfer. Should you play Silver Surfer? No, but if you’re so inclined, here’s the page with the codes, you’re welcome. It really hurts to not be able to recommend this game, because in certain levels you can see a brief glimmer of a decent 2-D shooter. Potential however, does not excuse a game that is far too frustrating for any other than the truly dedicated or masochistic.